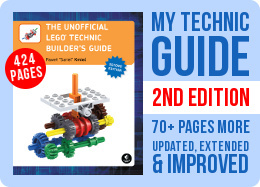 My first book, The Unofficial LEGO® Technic Builder’s Guide, now has a second edition. Four years after the release of my first book comes its updated, extended and improved edition available directly from No Starch Press and also from Amazon, Book Depository and other sellers. Important: the book can be currently pre-ordered from No Starch Press with 30% discount if you use code sariel30. If you’re looking for a free worldwide shipping, check Book Depository. Green marks updated & extended existing chapters. Red marks brand new chapters added in 2nd edition. Updated: all inventories of Lego pieces have been updated to the 2016 standard. 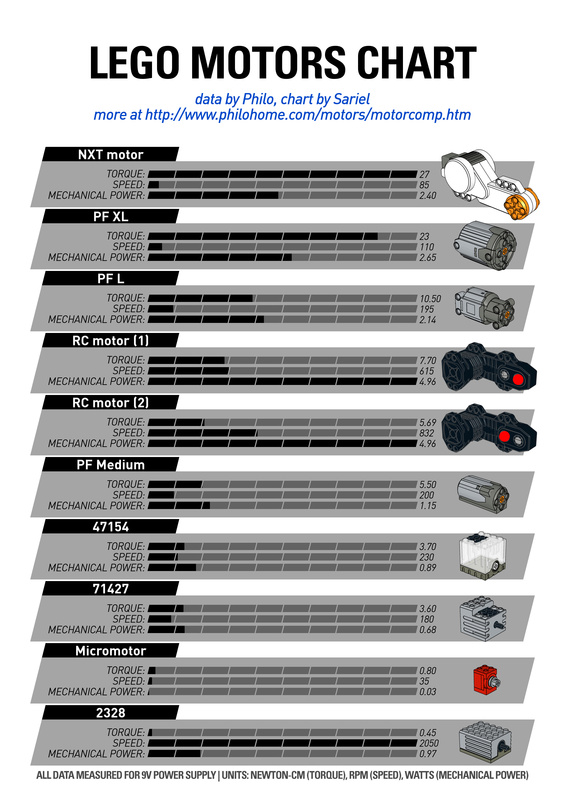 This includes among others: pins, axles, gear wheels, pneumatic pieces (V2 pneumatic system), motors (EV3 motors), transmission pieces (3L driving rings) and more. Extended: a number of existing chapters has completely new sections added, some of them including new building instructions, too. For example: a new transmission, new truss design, new kind of switch and also the heavy-duty custom tracks I’m using. Improved: I have taken this opportunity to improve the original content wherever possible. Some sections have been corrected, like the section on differential pulleys which has been completely overhauled. Many sections have been rewritten to make them clearer, easier to understand and more accurate. Additionally, I have recreated tens of existing figures (possibly over a 100) completely anew to make them look better and clearer – you can see several samples in the video below. As for the brand new chapters, there are four of them and they cover subjects such as Lego wheels, including ways of combining Lego rims with custom tires, the Lego RC system, now discontinued but still interesting and available second-hand, the planetary gearing, its pros, cons, the maths behind it and several examples with building instructions, and finally 3D printing of custom pieces, with numerous examples, advice and ideas and discussion of issues you may run into.